It is entirely possible to invent your own knitting pattern—and it’s easier than you think. With a plethora of knitting patterns already on the market, you’d think there’s no room for anything new. However, it is entirely possible to invent your own knitting pattern—and it’s easier than you think. The following steps, similar to the process of invention used in Spark!Lab, can jumpstart your journey to create a piece of fiber art that you’ll be proud to make and wear. Look at your inspiration; what will translate well into a piece of fiber art? Perhaps the building you work in has interesting architectural detail—you could pick some lines from this detail to base your pattern on. Or perhaps you found a beautiful red leaf in Autumn—the color can be the jumping off point. Maybe you love zombies? What about them could inspire a piece of knitting? The world is full of interesting possibilities; all you have to do is observe. I keep a little notebook with me at all times so I can jot down inspiration when I come upon it. 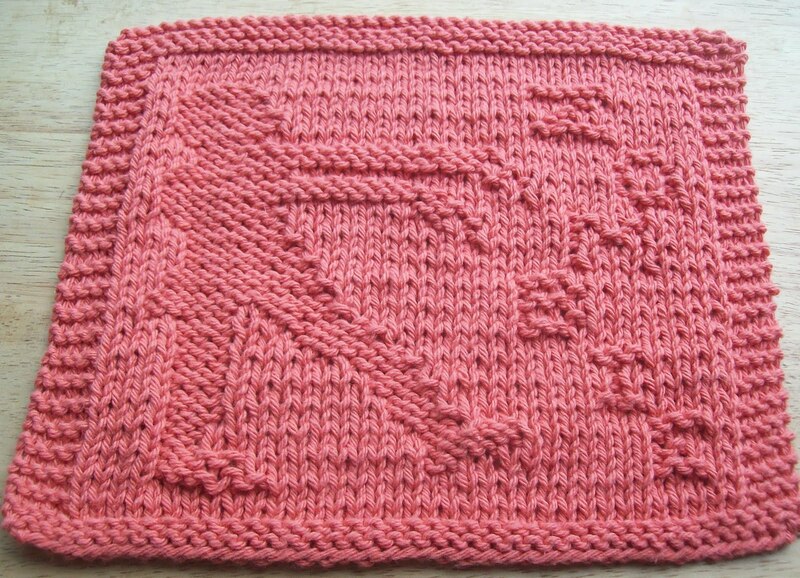 A zombie dishcloth from digknittydesigns.blogspot.com. Do you know how to construct sweaters, or are you just learning to knit and purl? Figure out what your skill level is, and attempt to create a pattern that aligns with the level of knowledge and expertise you already have. If you’re just starting out, a simple scarf or washcloth could be great, while an intricate pullover, maybe with colorwork, would be fun for those more advanced. 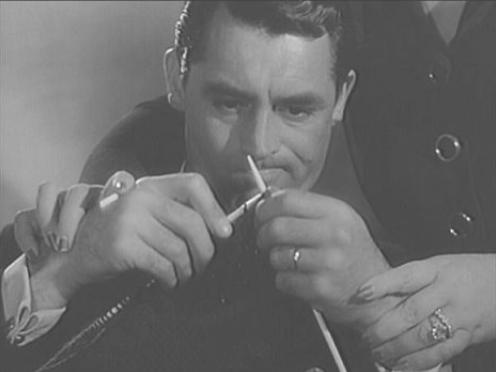 Cary Grant trying to knit in the movie Mr. Lucky. From the Lion Brand Yarns blog. Going from inspiration to finished product doesn’t happen directly. Drawing your pattern idea, based on your inspiration, is a crucial step in writing a pattern. Sometimes when we envision a finished product, it doesn’t turn out exactly how we thought. Sketching out a picture of what you want to create will help you make early decisions about the final product. If you have a pattern with more intricate designs, you might want to use a chart, especially when working with lace. If it’s something easier, you can simply write out the directions. Always start out by writing what kind of fiber you chose (the kind of yarn and the brand), the size of the needles, the gauge, and how many yards you used. 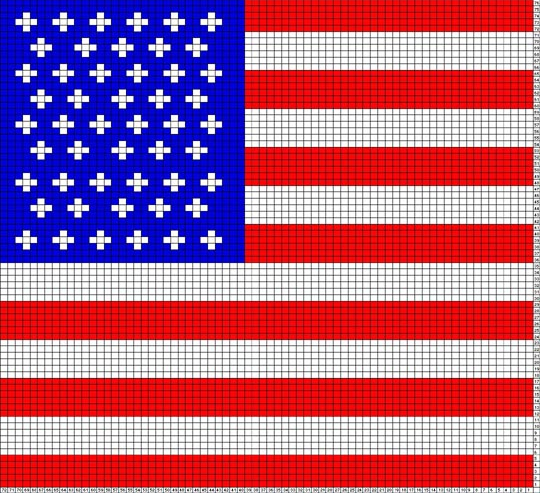 An American flag knitting chart from VickiDesigns.homestead.com. It’s not uncommon for a pattern to have errors in it. Don’t be too proud to admit a mistake—even professional pattern inventors with many years of experience have patterns with errors in them! Give your pattern to friends or fellow knitters on Ravelry.com to test. Use feedback to correct any problems, and update the written pattern. Many people invent patterns to be given away for free and the enjoyment of all. You can do this, or keep it to enjoy yourself. You can also choose to sell your pattern on many different websites, including Ravelry, Etsy, at farmer’s markets, or through a personal blog.